A healthy and well balanced rat mix, with added echinacea. No harmful preservatives were added to this food. 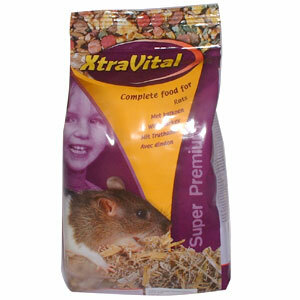 A part of a nice and healthy diet for your Rats. Ingredients are Cereals, vegetables, derivatives of vegetable origins (including Mannan oligosaccharide 0.0094%, Fructo oligosaccharide 0.0069%, Echinacea tincture 0.0005%, meat and animal derivatives (turkey meat 1%), oils and fats, minerals.